General Motors and Unifor are discussing how best to manage layoffs at the automaker's CAMI plant in Ingersoll, Ont. The company announced on Jan. 27 it will cut about 600 employees because it will end current production of the Chevrolet Equinox there and shift GMC Terrain production to Mexico from CAMI in July. General Motors will still operate three shifts a day at the CAMI plant, building the new 2018 Equinox, but the units per hour will decrease, which is why fewer workers are needed, the company explained. General Motors said the layoffs will be managed according to the collective bargaining agreement, which is set to expire in September. “The restructuring process will involve offering voluntary retirement incentives which may, depending upon the participation rate, help lessen the number of lower-seniority employees who would otherwise be laid off,” GM spokeswoman Jennifer Wright said in an email. Meanwhile, Wright also confirmed CAMI’s two-week summer shutdown has been pushed back to July 16 and will last through July 29 instead of it occurring as usual during first two weeks of July. 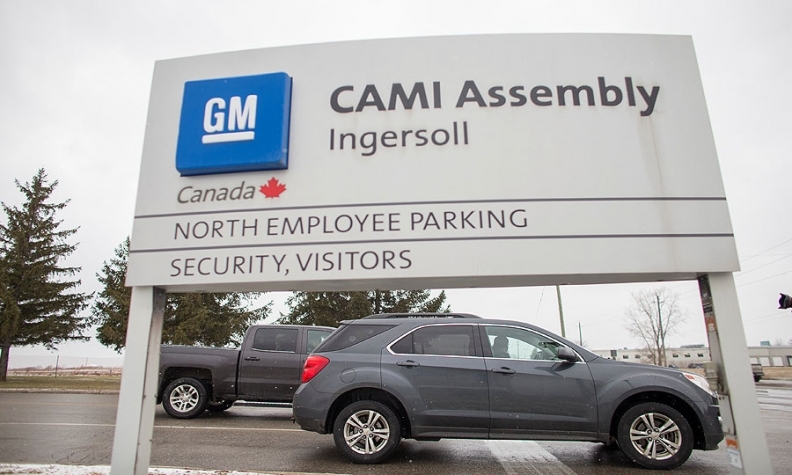 In a notice to Unifor, the automaker said the change is necessary to support changes to Equinox production at CAMI and to accommodate the build schedule at GM’s Oshawa operations.